I've been absent from posting for the last couple of weeks due to an amazing holiday in Central Australia. I highly recommend it to anyone hasn't been. I'll post a few highlights soon. 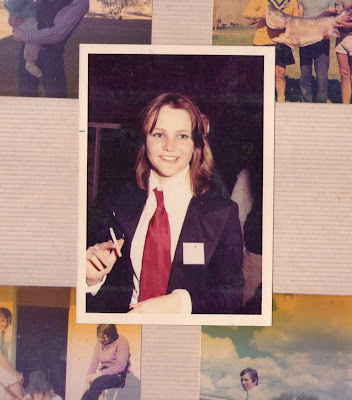 It was my Dad's 60th recently and we did a bit of digging through the family archives to put together a presentation for the party, as well as a "this is your life" book. I've always loved looking through all family photos. 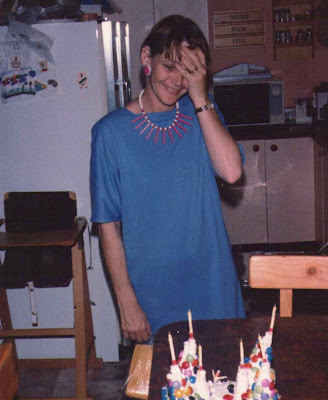 It reminded me how I've always loved my Mum's style, and so I secretly scanned a few extra images to share here to give you a little insight into how it's influenced me. This photo isn't so much about the fashio (though I do love her yellow jumper and how it fits with the touches of yellow in the room). 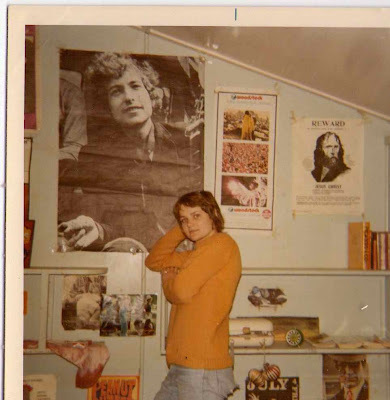 I just love how it sums up the life and room of a 60s teenager. It seems yellow was quite the fashion. 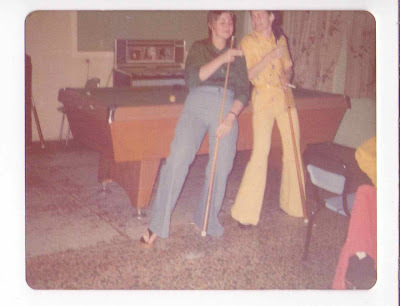 Check out those those flares! Why couldn't I inherit pins like that! 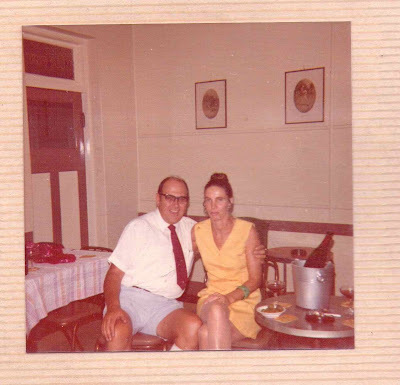 Mum's parents, Nance & Jim. 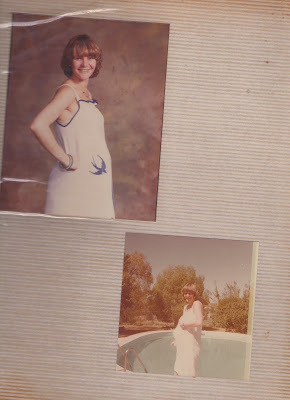 Nan has always been so stylish. Not sure about those shorts pop, but the glasses would be very hip right now. 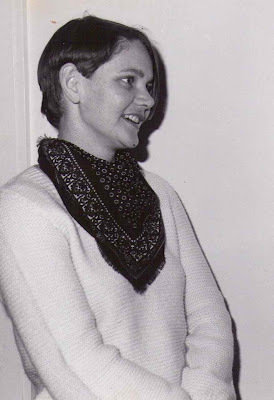 I think this was during the Annie Hall years. 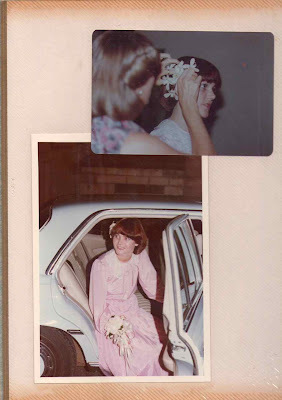 I love the way the photos around it have aged and the way it came up on the scan. 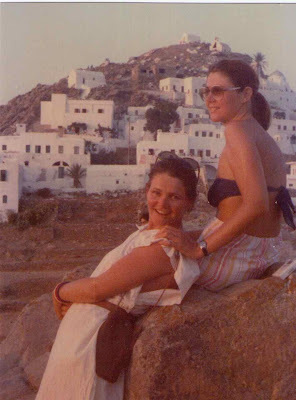 Greece during her European travels with my aunt Ros, sporting her own simple calico creation. 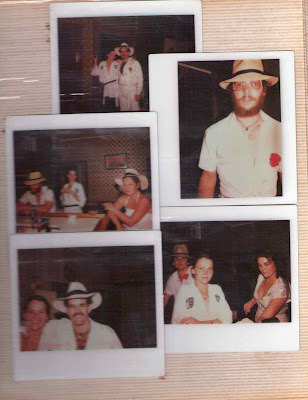 This was some kind of dress up party, but I still think these pics capture the spirit of the 70s so well! Pregnant Pixie photo - that's me in there! 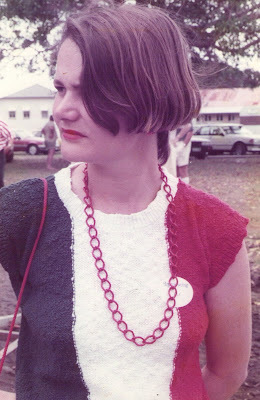 I do love my curls, but the straight hair gene may have been nice too. If only so I could have sported a chic asymmetrical haircut like this one. 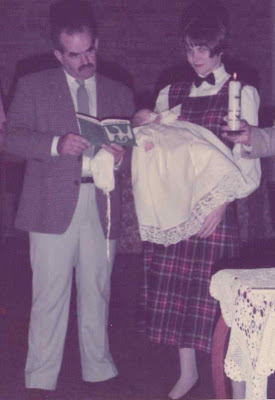 I'm actually not sure whose christening this was, but I love the look Mum is rocking here. So very Gossip Girl no? In other news, I am hard at work making more pieces for the Finders Keepers markets in Brisbane in a couple of weeks. My little profile is up on their site here, and I am very chuffed that they have also asked to do a profile on Simply Phoebe on their blog. I'll be sure to share the link when it's posted.